Support is mainly provided via email and Live Chat. However, DreamHost does have an option whereby customers can request a callback from technical support. By default, callbacks are not included with any standard hosting package. You can, however, add three callbacks per month to your account for a nominal monthly fee. 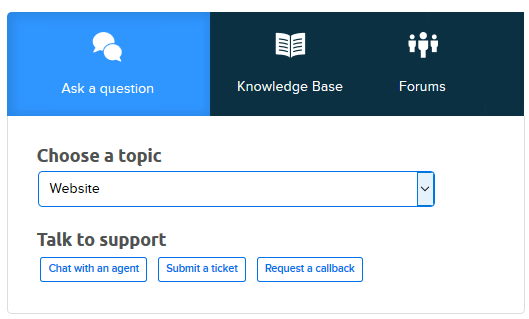 Support also offers a one-time callback feature for a fee as well. Navigate to the (Contact Support page. 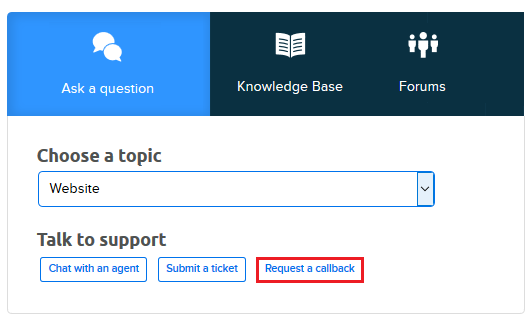 Click the 'Request a callback' option. Enter as many details as possible related to your current issue, including any domain name(s). Make sure to specify if you'd like a one-time callback, or a recurring callback service added to your plan (if available). DreamPress 'Plus' plans include 3 free callbacks per month. DreamPress 'Pro' plans include 5 free callbacks per month. Click Submit ticket when finished. 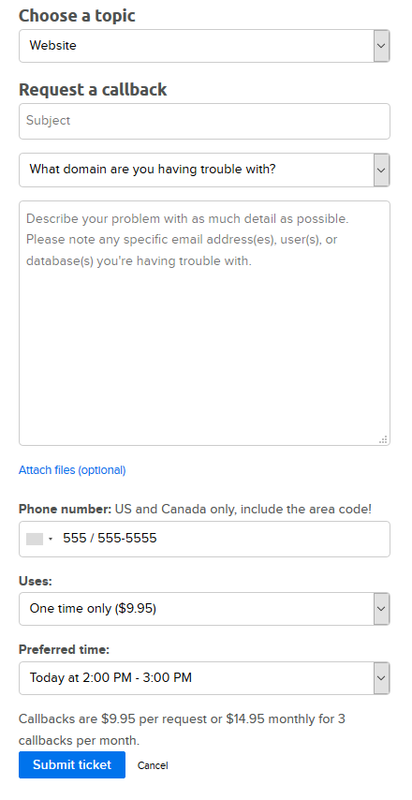 DreamHost does NOT provide a call-in telephone number: all phone support issues are handled as callbacks. Callbacks cannot be made for numbers outside the United States and Canada. Callback are only provided in English. Callbacks cannot be made for Security or Abuse matters. In these cases, a full written record of all communications is required. Under the section titled Service Plans you'll see the phone service listed. To the far right is a column titled 'Ends'. Click the 'Edit' link. From the dropdown, choose to end the service today or at the end of your billing period.